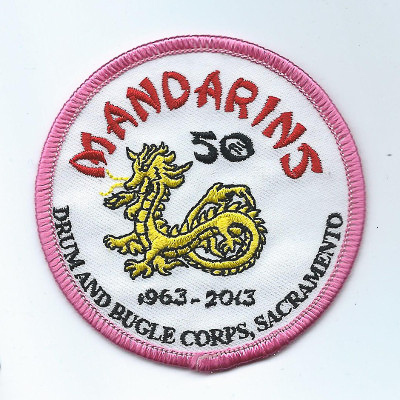 The Mandarins Drum and Bugle Corps is a World Class competitive junior drum and bugle corps based in Sacramento, California. In February of 1963, Roy Wong, Frank Lim, Thomas Fong, and Yuk Fong met to discuss the possibility of forming a drum and bugle corps for youth in Sacramento. 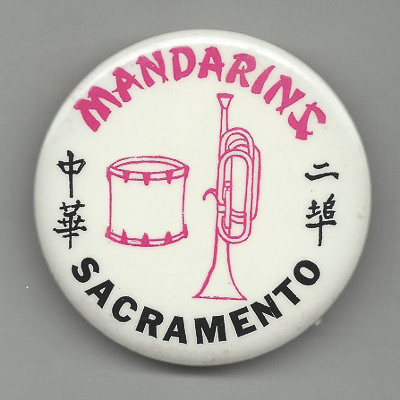 A letter to the Sacramento Chinese community one month later asked for support to establish a boys and girls drum and bugle corps. With the numerous festivities and parades taking place annually in Sacramento and neighboring locales, certainly the Chinese community, with all of its traditions and color, could participate in a way that would be uniquely its own. A youth drum and bugle corps, the corps' founders believed, would be a wonderful symbol of community interest, civic consciousness, and cultural pride. An organizationial meeting was held on March 23, 1963, at the Sacramento Confucius Church. On that rainy day, eleven youngsters attended, along with a few parents and several others interested in the project. With such a small turnout, the goals seemed rather hopeless, but this group went to work anyway. They obtained some reconditioned equipment and some instruments were furnished by the Chinese Benevolent Association. 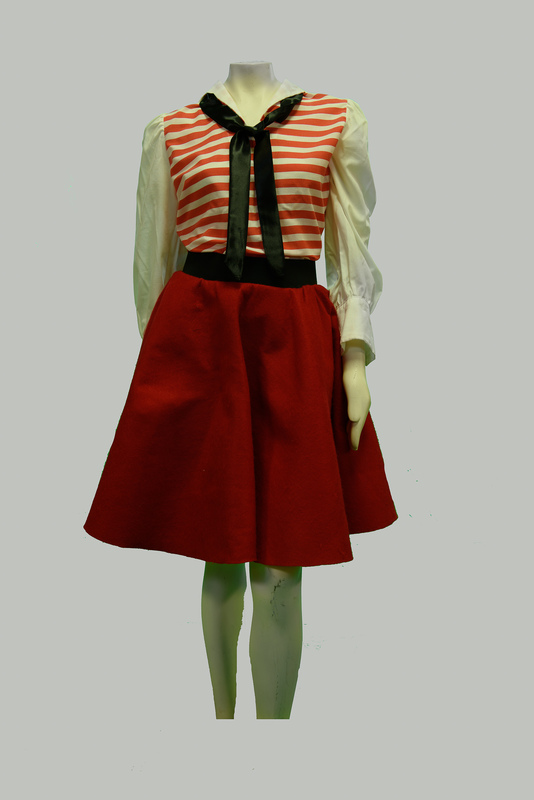 Uniforms, consisting of short-sleeved white shirts, white continental trousers, black shoes, black Chinese hats, and a magenta sash were selected and purchased at a cost of $5.85 each. By July, 1963, the new 47-member Ye Wah Drum and Lyre Corps was ready for its first performance, the Oak Park 4th of July Parade. By August, 1964, the corps had performed in over 17 parades and official receptions. A color guard, added that year, brought corps membership to about 75. Staff and parents held a successful fundraiser for the Ye Wah Drum and Bugle Corps, to keep pace with then-current trends and to encourage competition with other drum and bugle corps. By December, the Ye Wah was on its way to becoming the "new corps on the block." Gradually, the corps improved in quality and became more highly regarded for fine performances. The color guard joined the California Color Guard Circuit in 1965, beginning competition with other units throughout the state. They became a worthy competitor, winning a circuit championship and numerous other awards. 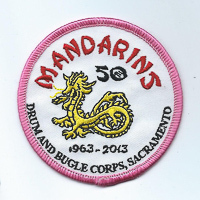 The organization became a field competition corps in 1967 and changed its name to the Mandarins Drum and Bugle Corps--- a name chosen by the marching members that shocked many of the older members of the Chinese community, whose forebears had come to America to get away from the mandarin bureaucrats of imperrial China. By now, the corps was well recognized in community performances, and was beginning to make itself known in drum and bugle competitions as well. 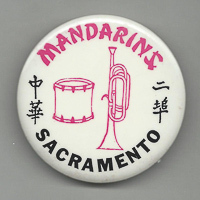 The Mandarins continued to progress, performing in events throughout Northern California, and gave their first Southern California performance in 1970. 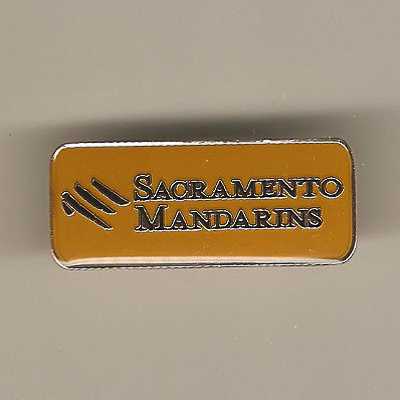 The Mandarins have performed around the world, representing the City of Sacramento and the State of California well. They played for Taiwan's 1972 and 1978 presidential inauguration ceremonies. In 1974, they marched in Hawaii's King Kamehameha Parade, and in 1975 began performing in the Pacific Northwest and Canada. Their first "major league" competition was at the 1978 Drum Corps International (DCI) Championships in Denver, Colorado, where they finished 12th of 19 corps in Class A competition. Following a tenth place finish in those 1986 Class A60 prelims, the Mandarins would become one of the most dominating small corps in the activity. The corps won its first DCI Class A60 World Championship st Madison, Wisconsin in 1987 and defended the crown at Denver in 1988. 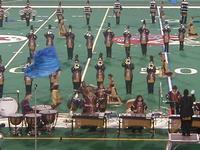 Mandarins dropped to third place in 1989 and was runnerup at both Buffalo, New York and Dallas, Texas in 1990 and '91. 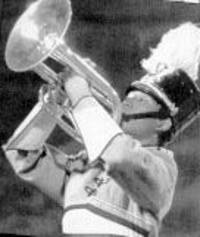 Back in Madison in 1992, Mandarins won their third DCI title in the renamed Division III. 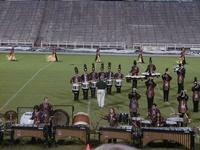 In 1993, the organization fielded a somewhat larger corps, and Mandarins moved to Division II, where they placed second, ahead of mostly larger units in sweltering Jackson, Mississippi. After that one year, membership was again below the 60 member maximum for Division III, and the corps was third in Lowell, Massachusetts and second in Buffalo in 1994 and '95. 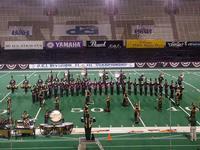 Over the years from 1975 through 2011, five corps in four different DCI divisions have pulled off a "three-peat" by winning three consecutive championship titles. From 1996 through 1999, the Mandarins became the only corps ever to earn four DCI crowns in a row, winning Division III in all four years. Following the four-in-a-row, Mandarins began growing.in size. This was at least partly due to Sacramento's Freelancers, a 10-time DCI Finalist, finally folding in 2010 after five years of not fielding a corps while trying to build a new financial base when newly enacted state laws had made their bingo non-profitable. 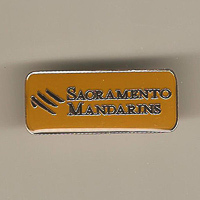 With the membership growth, Mandarins moved to Division II, and in the three years of Division II competition (2000-02), Mandarins placed second, first, and third. 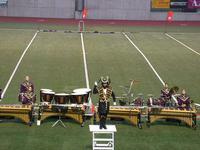 The 2001 Division II World Championship was the corps' eighth DCI title. 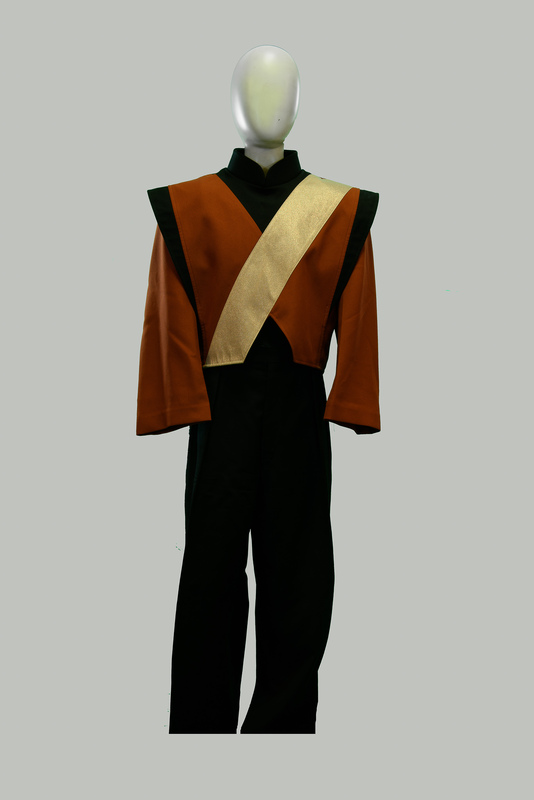 With continued growth and no more worlds to conquer in DCI's lower divisions, in 2003, the Mandarins became a Division I (now World Class) corps. In 2005, Mandarins' alumnus Jim Tabuchi (one of the earliest corps members who was not of Chinese heritage) joied the brass instruction staff. He became corps director in 2010, with Ray Mar becoming Executive Director. 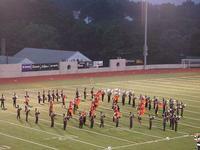 In 2013, Ray Mar, now the Mandarins' Director Emeritus, was elected to the DCI Hall of Fame. Tabuchi became Executive Director In 2014, upon Mar's retirement after leading the corps for 31 years. JW Koester then became the corps director. After moving to World Class, Mandarins continued to grow and improve. By 2017. the corps was knocking on the door of DCI Finals, in 13th place while marching a full 150-member corps. Since its inception, the Mandarins have been sponsored by an all-volunteer booster club of parents and supporters. In the early years, operating funds were raised through a combination of candy and bake sales, car washes, Monte Carlo nights, and food festivals. Bingo games began in 1984. Managed first by Harry Mark and later Janet Wong, the games have helped the Mandarins achieve the success they enjoy today. Perhaps the Mandarins has endured and prospered through the years because of its philosophy that the activity must be fun as well as rewarding, and that the focus must not be merely on winning but on each member doing his or her absolute best. 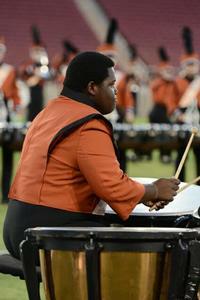 Perhaps it is the ideal balance of personal time, education, and drum corps activity. 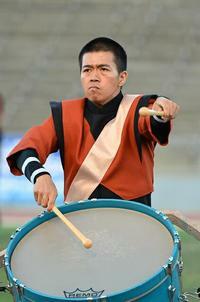 Perhaps it is the blending of Asian traditions with drum corps. Whatever the reasons, the Mandarins have taught thousands of young men and women the values of leadership, discipline, and good citizenship, values which carry through to school, careers, and back to the community, with a true sense of purpose.